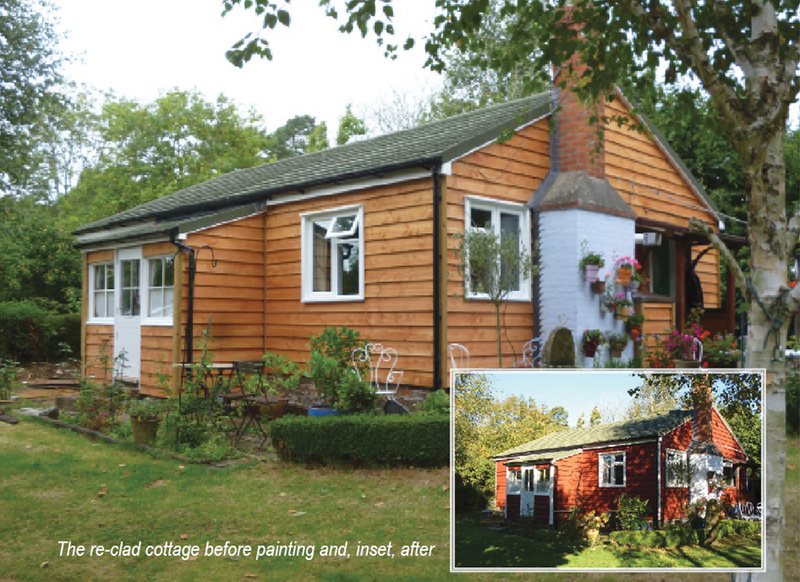 A 100 year old timber framed cottage now re-clad in Great British Timber from Ransfords. When the owners of this cottage in deeply rural Wiltshire discovered the place in 1993 it was love at first sight. “Wood houses are a sensible choice especially in regard to maintenance and economy. People fail to realise how naturally warm they are and, to be honest, all of the brick built houses we had ever owned were money pits,” says Ken B*. The attraction of the timber house centred largely on ease of maintenance but latterly the couple realised that the cottage needed re-cladding.